I began talking to the director. I motioned for the cameramen to film our conversation. 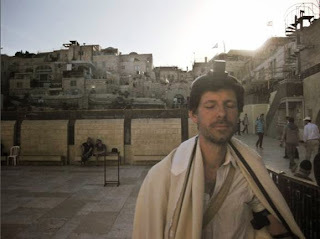 As things often go at the Kotel, this French x-ian turned out to have a grandmother who was Jewish. I took his arm, rolled up his sleeve and put the tefillin on him. I told him and he repeated it. He read the shema in English, and I had him pray for his family. “No, he was arisen,” he said with full conviction. They were shocked,… and the entire conversation is on film. Will they use it? No way! But they cannot deny the facts, and they all heard the information. Will anything come of this? Spiritually, for sure it will. 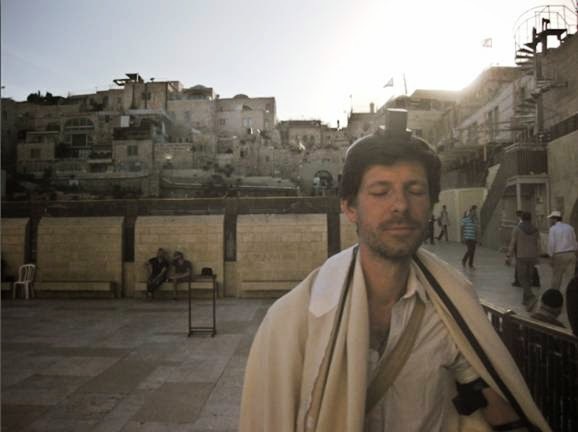 A Jew found out that he is a Jew, and put on tefillin for the first time in his life… This will surely affect his life. Will the entire crew throw away their belief in that myth? I doubt it, but I have had people come back 10 years later and tell me that our conversation changed their life. We have to try with a good heart. Then, if we succeed or not, is up to G-d.
Their ultimate conundrum: Yashka wasn't C..stian. How do they reconcile that? The only thing an x-ian has to say (ask) to a Jew is 'How to do teshuvah' their own leader said as much with the prodigal son message, the older brother is Judaism, never left the Father, the younger is x-ianity and the younger brother in his current condition is dead. Until he returns to the Father via Torah! Give them that message, great story by the way!